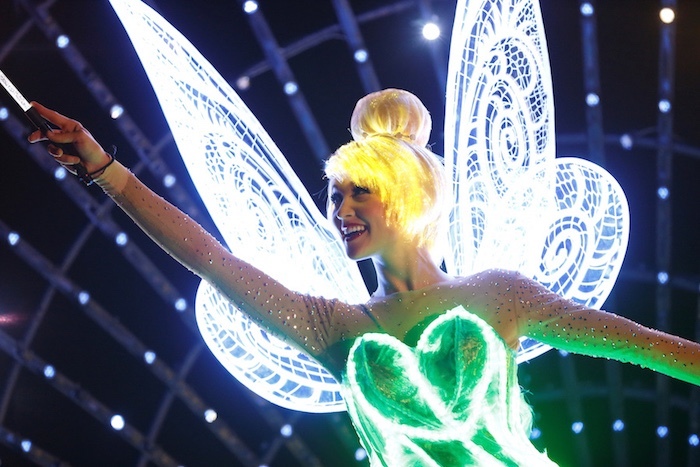 Disneyland first opened its doors back in 1955, making Walt Disney’s seemingly impossible dream a reality. Since then, the park has evolved in a number of ways, all while maintaining much of the classic charm that made the resort an incredibly popular destination. 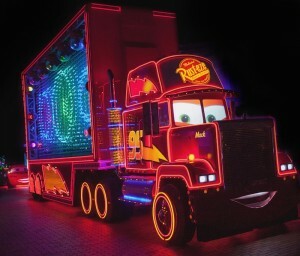 Disneyland celebrates its 60th Anniversary this year, its Diamond Anniversary, and Disney has some big plans in store. Take a peek at some photos and concept art previewing new additions on the way for the celebration! Diamonds are something that will be present throughout the park, perhaps no more prominently than on Sleeping Beauty Castle. In the image above, we get a look at the iconic structure sparkling in the sunlight. Banners and other decorations featuring diamonds can be expected as well. A new fireworks show is also on the way. 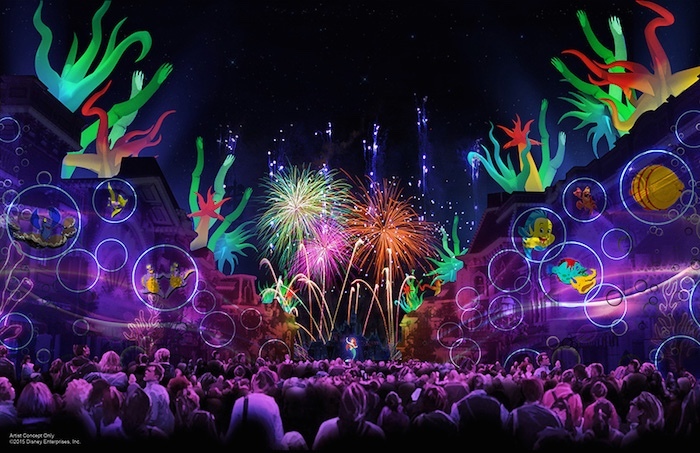 Called Disneyland Forever, this is Disney’s fireworks spectacular of the future, as fireworks are just part of the show – projections will play a large role, with other locations in the park such as Main Street, U.S.A. becoming a canvas. NEW PROJECTIONS FOR NEW FIREWORKS SHOW AND MORE PYRO ALL OVER MAIN STREET. 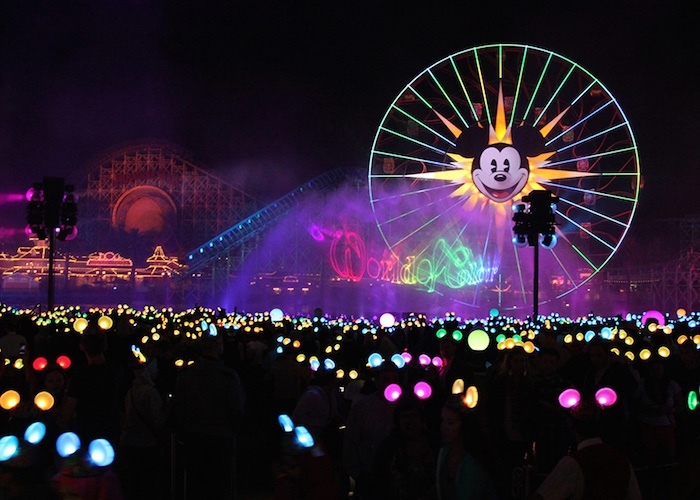 For the new show called "Disneyland Forever"
Two new songs were written just for the show, one being the theme, “Live The Magic.” The other song, “Kiss Goodnight,” was written by the legendary Richard Sherman and it will bring the show each night to a grand finale. 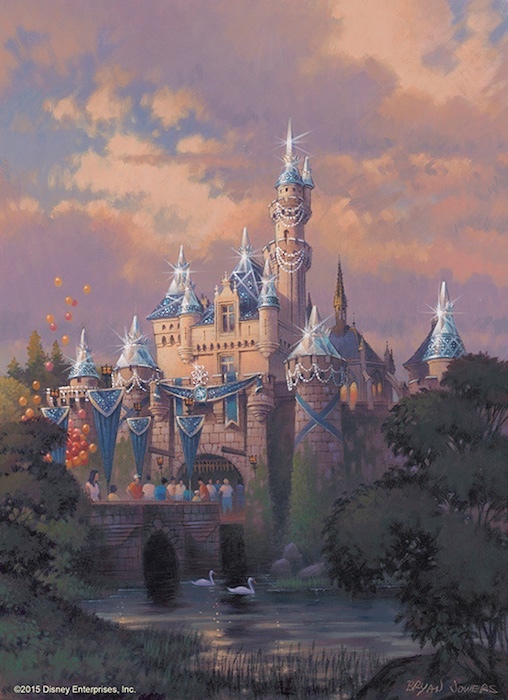 Disneyland’s sister park, Disney California Adventure, will not be forgotten in the festivities, as the park will also gain diamond decorations. 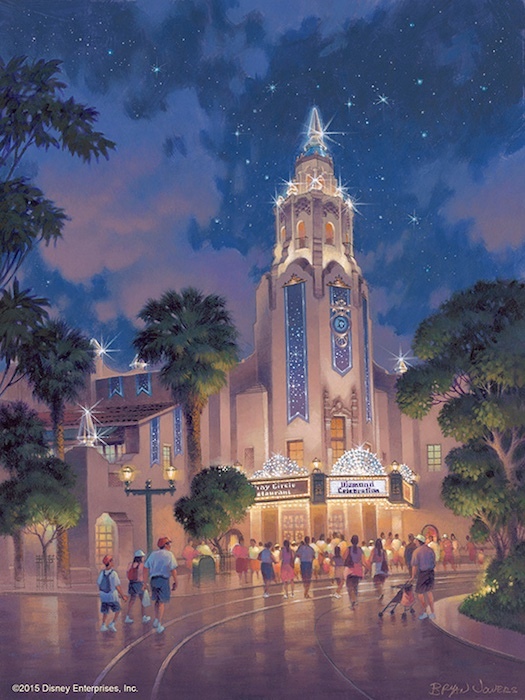 Carthay Circle Theatre, the stunning recreation of the theater in which Snow White and the Seven Dwarfs made its debut, will be decked out in diamonds. The water/light show, World of Color, is seeing a major update. It will be called World of Color – Celebrate: The Wonderful World of Walt Disney and it will highlight Walt’s “dream of Disneyland.” A combination of animation and historical footage projected onto water effects will combine to make a brand new and more technologically advanced World of Color show. When will all of these new additions to the Disneyland resort make their debut? You are in luck because they will all arrive at once – on May 22nd, otherwise known as the Friday before Memorial Day weekend. Expect massive crowds! In recent years, both parks have stayed open for 24 hours straight to kick off the holiday weekend. Although that announcement has not yet been made, it would not surprise us in the least if the event returned again this year. There have been some rumors that Disneyland could even stay open for 60 hours straight (that number being chosen, of course, for its 60th Anniversary), but there has been no word from Disney. We will have to wait and see! 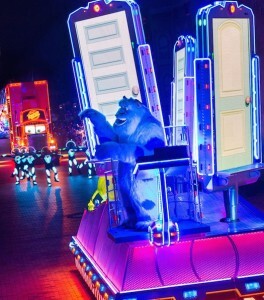 What we do know is that Friday, May 22nd, will be a historic day for Disneyland. It kicks off the theme park’s 60th Anniversary in style – stay tuned for more details on the celebration as we learn them.